Supermodel Christy Turlington lights up the cover and pages of American Harper's Bazaar with photographer Daniel Jackson bringing a sense of occasion to the feature story on her prolific years as a model. Turlington, 44, has been modelling for three decades having been discovered at age 14 while horse back riding in Florida. As one of the original Supers, Turlington's timeless elegance and grace found favour with designers including Gianni Versace, Calvin Klein, Karl Lagerfeld, and Alaia Azzedine, and with photographers Steven Meisel, Richard Avedon, Herb Ritts, Arthur Elgort, Peter Lindbergh, and Patrick Demarchelier, landing her on the pages of international editions of Vogue, Harper's Bazaar, and in countless advertising campaigns. These days Turlington devotes much of her time to philanthropic work for her foundation Every Mother Counts, which campaigns for the maternal health care of woman in resource poor countries. In 2003, Turlington experienced life threatening Post Partum Hemorrage (PPH) following the birth of her daughter Grace, which led her to consider the consequences faced by women without access to pre and postnatal care. Turlington's ability to continue to model on her own terms whilst employing her celebrity clout to help raise awareness for causes that she supports is a testament to the delicate balancing act that she has maintained throughout her modelling career. 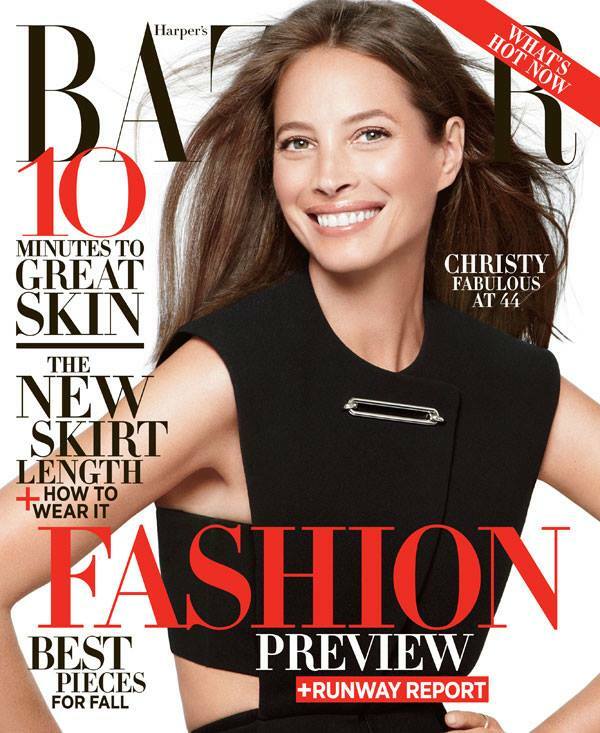 Turlington concurs while speaking to Harper's Bazaar, "I know that duality is on all of us. This isn't who I am. It's great but I want to do other things. And I was able to do those things because of it (modelling) and continue doing it on my own terms."